Sofirn C8. I did edit this review and put it also in diy side. Hope that’s ok. I should have put this review there in first place. I got to the point that I must find good quality C8 host other than Convoy C8. Finally my eye catches up from Aliexpress all C8: s one that looked like what I really needed. Yes, it was Sofirn C8. After some message changing with seller Cissy from Sofirn she gets her boss to change driver plate size from odd 18.9mm to normal C8 size 17mm. Led board is 20mm. Finally they started to do their own new C8 host. Oh boy was I happy to receive that beautiful C8 host! driver plate like in Convoy. There is also intergrated head like in Convoy C8. And tailcap/ switch, very good quality u-shaped tailcap and great switch. !!!! Close look at threads; they are so good and smooth. If I must find something about this host that is not good? If so, it’s the fact that reflectors led hole in Sofirn C8 is odd 6.5mm. And led plate is too low machined. I tried spare reflector with 7mm led hole and Kaidomains butterfly gasket. It made with normal size led gasket gap between bezel and head. So normal size 7mm XP gasket bought from Kaidomain is too thick because that low machined led plate. With host comes tiny gasket for 3.5mm footprint leds. If one uses only 3.5*3.5mm leds it’s ok but other size leds have no gasket according Sofirn. And there comes screws to attach led board to the plate and lanyard with two spare o-rings. C8S It has 20.8mm driver plate and 20mm ledplate. In that reflector is with 9mm led hole. In C8S there is no problem with led plate. XHP 50.2 led and H1-A boost driver fits great. And again this hosts quality is very good. I have one Sofirn C8 that is made by Sofirn. It sure has lots of light but tint could be colder in my opinion. Same thing in this, quality much over average C8. Look at those C8:s, three different version. Edit: Just heard that if one orders 20pcs at least one can have his own logo laser engraved to the host. And I beg the factory to CNC led plate deeper. These gaskets are just thin enough to not make gap between bezel and head with 7mm led hole spare reflector. Those are also sold by Kaidomain. Drivers can be ordered separately. They don’t tell Amps, according Cissy from Sofirn driver is direct driven. Is the Sofirn (not host) that you have called C8F? I would be interested to hear anyone’s thoughts on that model, with it’s triple reflector. Also, do you dislike paragraph separations for some reason? That was painful to read. Wow! That looks nice now! Haha! It is Sofirn C8A. I do not dislike paragraph separations but I’m quite newbie here so I don’t know how to put them here Sorry about that! Use the Enter key and Preview your post. “Use the Enter key and Preview your post.”??? I tried to Insert Image but after Preview could not see photos?? I tried to Insert Image but after Preview could not see photos?? Just preview your post until it looks right. Thanks of link, I’ll try again. [quote=korpzgrinda]Is the Sofirn (not host) that you have called C8F? I would be interested to hear anyone’s thoughts on that model, with it’s triple reflector. I can ask Cissy to sent me that C8F if nobody does have it. They now are in some Chinese holiday till 6.10. Please edit that post so it’s easier to read. This is hard to look at. Btw. I have C8F somewhere in mail, soon to arrive if anyone wants to know. Edit: Just noticed; maybe the photo file is in wrong format? There is no format that guide tells to fit here. In led hole photo address ends in letters FzOVKU??? Now I try to open photo in new window when it’s in .jpg format. I get it jpg was the reason. I don't think there's a photo limit. thanks for the review. seen those lights on AE and was wondering how good they were. might pick up a few. The review is looking much better now. Hi Jouna, thanks for these pictures. 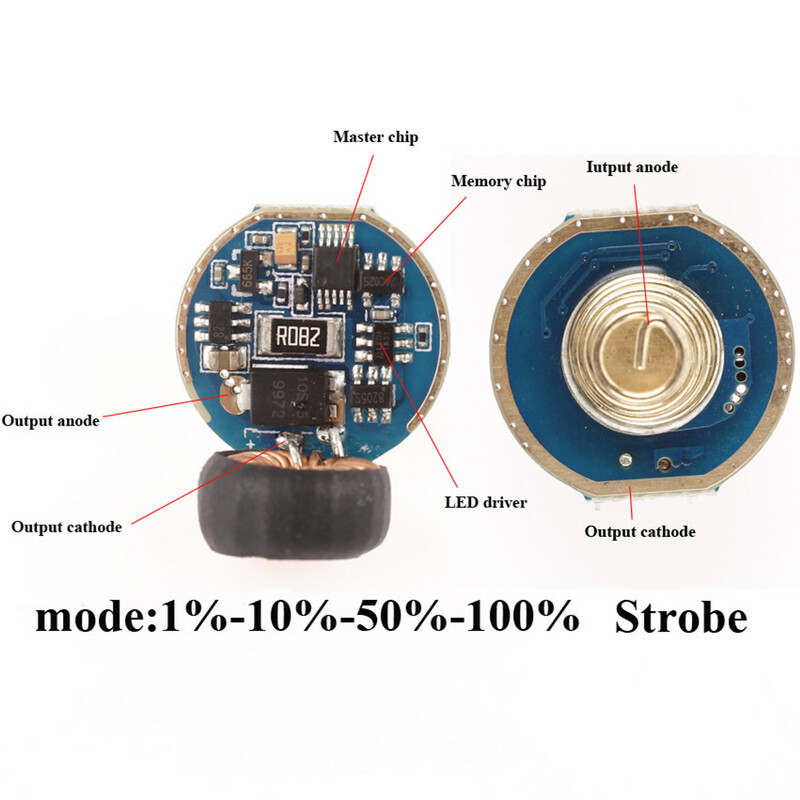 C8S host in my wishlist, both 20mm driver and MCPCB very nice. May do some fully regulated DIY torch with one in the future. I'm waiting for a C8T to be reviewed, hope I can at least get some meaningful measurements for that new dual MOSFET driver. With regards to the photographs, I'd improve focus and increase exposure. If you're using an Android smartphone I recommend Open Camera (F-Droid, G00gl€ Play), most stock smartphone camera applications are a joke. I’m waiting for a C8T to be reviewed, hope I can at least get some meaningful measurements for that new dual MOSFET driver. With regards to the photographs, I’d improve focus and increase exposure. If you’re using an Android smartphone I recommend Open Camera (F-Droid, G00gl€ Play), most stock smartphone camera applications are a joke. For the photos, they’re too dark to see anything meaningful- just use one of your other flashlights to provide some better illumination during the shots. Very funny. I did update some photos, is there anything else you would need Jason? Interesting photo, but it seems random. Could we have some context? That photo is clearly from my album in cloud. I don’t know if you are kidding or not but photo is for showing what is “integrated head”. There is same kind of photo with more light in my “quick review”. Interesting, thanks. How does it compare to Thorfire C8? “Its a removable pill…” From Thorfire C8 review. Not integrated at least in that review. Indeed, thanks for pointing out. The Thorfire C8 has not had a removable pill for a long time. An integral shelf. Screwed down MCPCB. And a “fully regulated” buck driver, generating about 900 lumens in standard form. (moddable) Nice simple UI, with useful ultra-low. Also compatible with 2S cells, 18350 or CR123 for example. A personal favourite. Still worth considering. Not bought one in a while, just reporting my most recent experience, this year. Interesting information Tom Tom. What you say sounds like a sort of LD-29 driver, also one of my favourites like all sorts of fully regulated drivers. Modified a pair of TA13 torches with H2-C drivers recently. Take a look, usually on Amazon fulfilled at a decent price. Sometimes in a package with a (good) cell, charger and a bike mount. Their grey anodising is soft, but I like the way they wear with use. Disclosure: I received one of the first (with pill) for review here, and liked it so much I bought several more. The emitters are on Al MCPCBs, cool white but OK, and the larger XM rather than eg. XP footprint and appropriate SMO reflector, so not perhaps the ultimate throwers. The driver seems very good and balanced to me, but maybe does not appeal to those obsessed with max. amps. I like it, and it seems very efficient to me (run time). Banggood has it. Just saw this C8s CPF review too. Do you know, by any chance, how deep is its driver boot? Driver pics? Not sure what you mean by driver boot. If depth of cavity, well I only have my review sample with separate pill, so not relevant to current production. There was enough room left that I considered packing it with a piece of thermally conductive silicone, but didn’t. Mine takes I think a 17mm driver (screwed into the pill with a nice ring), and a 20mm MCPCB. But don’t quote me on that. The driver is mostly obscured by a big wound inductor on a hefty toroid core, taking up pretty much the full diameter of the cavity. Not the sort of square sealed component I’m used to seeing these days. But everything may have changed since then, you will just have to take a chance and see for yourself. I don’t think you will be disappointed. Yes Tom Tom, depth of cavity. Nice inductor, not so nice current sensing resistor. 82mΩ is too big, causing a lot of voltage drop and power loss in the driver. If current for high mode is 2.8A, Pshunt = I² × R = 7.84A² × 0.082Ω = 642.88mW. Looks like sense voltage is set at ≈0.23V. An LD-29 uses a 25mΩ shunt for the same 2.8A maximum driving current. This is much nicer: PLD-29shunt = I² × R = 7.84A² × 0.025Ω = 196mW. Sense voltage is 0.07V. How good would it fit I don't know.